(Brynmawr: Welsh) is North Park’s new bar and restaurant, brought to you by the Owner of Bryn Mawr Breakfast Club. Big Hill offers delicious food, an extensive list of beers, cocktails and wine in a casual and relaxed setting. We provide the very best ingredients, full flavors, innovative ideas and perfectly executed dishes every time. Big Hill offers private parties. Whether it’s a dinner party for 15-20 people or a cocktail party for up to 60 guests, We have the perfect place for your event. Please call (773) 754-7346 and a member of our team will be pleased to confirm availability and discuss menu options. We look forward to hearing from you! 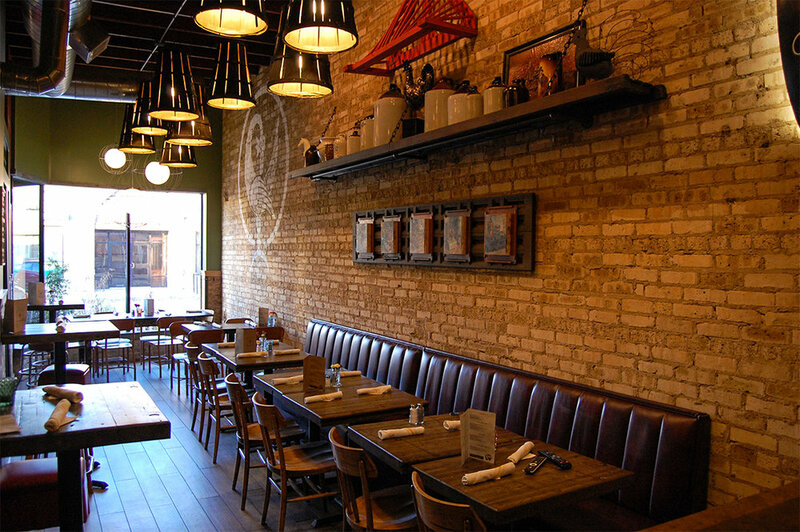 Website by menagraphics // Interior by Daniel Malone of Roost Chicago.